Alexander Edward Butler was born in London, 12 July 1828, the first child of his parents Alexander Bishop Butler and Charlotte Selina Mortimer. According to the I.G.I. he was christened, 15 February 1829, at Saint Matthew’s Church, Bethnal Green, London. Life for Alexander Edward was a life on the move: by 1830 the family had moved to Cheltenham in Gloucestershire where Alexander Bishop practised his trade as a gunsmith and the second son, William Mortimer, was born. There was a later move to Bradford, probably about 1832. In 1837 the family, which now included five children, moved to Tasmania, undoubtedly because of the connection with Charlotte Selina’s brother, Henry William Mortimer, who had moved to Hobart Town in 1825 and was well and truly established in various responsible positions in the area. In 1836 Mortimer was living in a two storey house at Battery Point, which may give some indication of his wealth and position. I know nothing of the Butler family’s stay in Tasmania. When Alexander Edward was eleven there was yet another move, by no means the last in his long life, to the newly founded settlement of Port Phillip, on a brig especially chartered by his uncle. What an adventure that turned out to be: the boat was driven ashore at Swan Reef and had to be unloaded and salvaged before it could resume its journey. What should have taken a day or two turned into almost a fortnight’s voyage. Nor did things go well when they arrived: Alexander’s older cousin, his mother’s sister’s son, John Blanch, met with a tragic accident in which he and his twenty-two year old wife Sarah were blown up in an explosion in his gunsmith’s shop in Market Street. What a profound impression this must have made on the newly arrived eleven year old. These people were early settlers in Port Phillip. There had been several attempts to establish a settlement in the area: Lieutenant David Collins’ venture lasted from October 1803 to January 1804; Captain Wetherall’s 1826 settlement lasted for less than two years till 1828. The first successful permanent settlement was made at Portland Bay by the Henty brothers in November 1834. In June 1835 John Batman arrived and settled in the area now known as Melbourne, which was formally established 10 April 1837 as the Port Phillip District of New South Wales. Governor LaTrobe arrived 7 October 1839, welcomed with a suitable tribute from the populace. Among the signatories was John Blanch. It was into this emerging scene that the Butler family stepped, 16 December 1839. Their first function was no doubt the Blanch double funeral, which was followed by Charlotte Selina’s confinement with her seventh and last child, Philip Henry, born 29 December 1839. Alexander Edward’s life so far could hardly be called dull. Nothing is known of his life over the next few years during which his father established himself as a grocer in Queen Street. There is no indication that Alexander Bishop ever practised his trade as gunsmith in Melbourne. There must have been some very sound education for three children; they may in fact have come under the tutelage of Miss Knox, their Mortimer cousins’ governess. During his life Alexander Edward was to hold various responsible positions of a secretarial nature, so it is reasonable to assume a good early education. From 1840 till 1868 the movements of Alexander Edward Butler and his family are not clear to me at this stage of writing. We do know that the father, Alexander Bishop Butler, died in Hobart 30 September, 1846. It would seem that he returned there at some stage, but there is no indication that the other members of the family were with him. 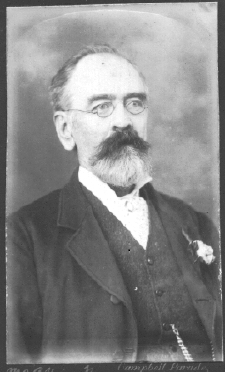 And William Mortimer Butler, the second son, was in Geelong in 1846. He may have been there on his own, though he was only sixteen at the time, so there could have been other family members with him. By the time we get to the 1850s the picture is becoming a little clearer. At the end of 1851 Alexander Edward, now aged twenty three, was on the gold-rush scene in Bendigo, and his brother William Mortimer has been at Fryer’s Creek for some time. It was an important period for Alexander Edward since he was to marry Eliza Helyar during the following year. The Butlers and the Helyars must have known each other for some time because both families were involved in the merchant trade as store keepers and butchers, and in the gold-rush in various capacities. They lived in the Geelong area and in fact the two families came to have adjoining properties at Jan Juc, south west of Geelong. They owned around this time a property near Jan Juc called Glenlee Farm: it adjoined a farm belonging to Eliza’s brother George who had married Charlotte Anne Hockey. Jan Juc is described as a rocky point on the south coast of County Grant, forming the north head of a small sandy bay into which Tait’s Creek empties. It consisted of a small postal village on the Spring and the Jan Juc Creeks, about three miles from their mouths. While it was agricultural and pastoral country, there were “no mills or manufactories”. Nor were there any “conveyances to this place”, and if you wanted to travel you had to order transport – how, I wonder. Nor were there any hotels! The country was described as hilly and rich in fossils (The Victorian Gazetteer of 1870). In 1970 it was described as a “farming district near Torquay”. And as far as the meaning of the name, you could take your choice: milk, iron, bark, black or white geese. Today the area of the Butler and Helyar farms has been described by a Helyar descendant (Valda Strauss) as swampy, sandy and rather desolate, overlooking a beach. It is not surprising that the movements of the Butler family at this time are obscure because whatever information is available suggests that the Butlers were involved in and around both Geelong and Richmond from the mid-Forties to the late Sixties, when Alexander Edward settled finally in Richmond. It is possible he lived at Richmond and worked as a grocer, and maybe other trading occupations, but also had the farming property at Jan Juc and simply moved between the two places. We do know, however, that Alexander Edward was married to Eliza Helyar, 8 April 1852, in his Melbourne residence, address unknown, by a minister of the Independent Church whose name is illegible, in the presence of Eliza’s father, Elias, and her sister Emily. There is no mention of his family, though there is no reason to doubt it was a family occasion. Alexander Edward and Eliza were to have a large family, ten children in all; three of them died very early, maybe even in childbirth, and one died at the age of eleven. They were: Selina Mortimer b.c.1853 d.young, Eliza Selina b.1854, Charles Edward b.c.1856/7 d.young, Annie Mortimer b.1862, Edward William Alfred b.1864, Charles Spilsbury b.1865 d.1876, Hubert Philip b.1866, Frederick Alexander b.1870, Charlotte b.1873 d.1873, and Percy Cedric b1874. 24 June, 1853, he is advertising in the Argus: “1500 pine shingles (very superior) for sale, cheap! Apply Alexander E. Butler, Butcher, near Cremorne Gardens, Richmond”. Alexander Edward, according to his obituary in The Sydney Morning Herald, was present in Ballarat at the time of the riots in 1854 and was one of the jury empanelled “to hear and determine the cases against the rioters”. On 6 January 1854 their first child, Selina Martha, died aged eight months; but their second child was born later that year, at Richmond. She was christened Eliza Selina. Directories of the time give us information concerning his occupation and his several addresses. In the Directories for 1855, 1856 and 1859, he is listed as a grocer in Russell Street, Melbourne. He appears in the 1856 Electoral Roll for Port Phillip as “Butler, Alexander Edward, Boroondarah, Richmond; Freehold, Richmond Road” – presumably he lived in Richmond Road, Richmond, and worked in Russell Street, Melbourne. 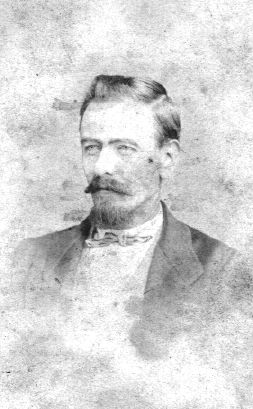 In 1857 their third child, Charles Edward, was born, and died at Boroondara, which was once a suburb in the area of Richmond, Hawthorn, Kew and Camberwell. It exists now only in the name of a cemetery at Kew. In 1860 Charlotte Selina, Alexander Edward’s mother, died at Union Street, Richmond, probably attended by her son Spilsbury, who also lived at Union Street. Four more children were born while Alexander Edward’s family was associated with Jan Juc: Annie Mortimer was born in 1862; Edward William, our grandfather, was born 14 February 1864 – he was registered 22 March at Richmond, and his father’s occupation was given as farmer. Alexander must have moved back and forth between the farm and the city, because in the 1865 Directory he is listed as grocer in Faraday Street, Carlton; and yet both Charles Spilsbury and Hubert Philip were born at Jan Juc – at least they were registered at Geelong – in 1865 and 17 December 1866 respectively. In 1867, His Royal Highness, Prince Alfred Ernest Albert, Duke of Edinburgh, visited Victoria, and a Loyal Address was presented to him by the early colonists. Some 980 settlers who had arrived before 1843 signed the address – a conventional enough expression of loyalty and good will, matched by the Duke’s return of thanks – and also stated the date of their arrival. Four Butlers signed, all of them sons of Alexander Bishop Butler (himself an Old Colonist): Alexander Edward, Philip Henry, Spilsbury and William Mortimer. On 29 January 1869 he receives £9.7.6 as his salary for January. He stays in this position for some two years until his resignation in October 1871. There is a report in the Richmond Australian, 7 October 1871, of the council meeting at which he tendered his resignation, offering to retain the office of Inspector of Weights and Measures and Revenue Officer at one third his current salary. This occasioned some discussion: some thought it an acceptable move; others felt it was not the way things should be handled. Councillor Verity believed it should be all or nothing and “understood that the duties of Inspector had become very unpleasant and Mr Butler felt it so and therefore wished to resign”. Several members of the Council including the mayor expressed themselves favourably as to the manner in which the Inspector had carried out his duties. The motion was put and carried and the resignation accepted on the conditions submitted. Were the duties so unpleasant, or did Alexander Edward have other fish to fry? The Richmond Australian of 13 July 1872 carried this advertisement: “Annual Election, North Ward. To Mr Alexander Edward Butler, Hull Street Richmond: Sir, We the undersigned Burgesses of the Borough of Richmond (North Ward) request you to allow yourself to be placed in nomination to fill the vacancy . . . believing that you will, if elected, faithfully represent our mutual interests . . .” Twenty-eight signatures follow, with another 276 referred to. Alexander Edward Butler has much gratification in complying with their flattering request. Hard on that announcement, Alexander tenders his resignation as Captain of the Richmond Fire Brigade to the Chairman of the Fire Brigade Committee, 22 July 1872. He is requested to stay on in an honorary capacity till his successor has been appointed. Matters proceeded apace. A dozen of the women burgesses of the North Ward nominate Mr Butler, and he consents; he appoints two scrutineers, Mr William Matthews and Mr W. Hardinge; the results from the L to Z booth are duly signed by the scrutineers for both candidates, Mr A.E.Butler and Mr E.H.Smith, Mr Butler achieving a significant majority; and finally the results of the election are announced in the Richmond Australian for 17 August 1872. “Shortly after eight o’clock, about half a dozen cabs were in position before the respective committee rooms, ready, if not ‘eager for the fray’. Mr Smith sporting the blue and Mr Butler the red. For the first two hours it seemed as if all the voters were coming up in favour of the sanguinary colour”. For the next few hours the voting went on quietly, but it was becoming clearer to the “partizans” on both sides that Mr Butler was returned. At half past four, the returning officer appeared on the Court House steps and announced Mr Butler as the duly elected councillor for the North Ward of the Borough by a majority of 186 (423 for Butler, 237 for Smith.) The announcement was received with three cheers for the successful candidate, a few manifestations of dissent for the other side and “the usual amount of banter and confusion.” Butler thanked his supporters and promised to work hard for them; Smith thanked his supporters and did not blame those who had supported his opponent because they had done so in confidence of his (Smith) being maligned (no, no and laughter). He blamed the inclemency of the weather which prevented the electors from attending his meetings (laughter) in consequence of which they believed what had been told them instead of judging for themselves. Two years have barely passed than Alexander Edward tenders his resignation as Councillor; it is accepted by Mayor Charles Smith 15 October 1874. The same day Butler applies for the office of Treasurer of the Town of Richmond and his request is successful. I have no information for the next eighteen years that he held this office. “My great grandfather, Wilfred Travers, played bowls with Alex Butler at the Richmond Union Bowling Club in the 1870s. He presented a watch to Mr Butler, as reported in The Argus. I believe Mr Butler attended my great grandfather’s funeral in July 1893 in Sydney as the name A. Butler is on the death certificate. “‘A pleasant meeting of the members of the Richmond Union Bowling Club took place on Saturday afternoon for the purpose of presenting their secretary with a handsome gold watch by Ehrhardt, London. The presentation was made by Mr Wilfred Travers, and the inscription was as follows: Richmond Union Bowling Club. A gift from the members to A E Butler, Esq., seven years hon. sec. June, 1876’”. The Argus, 12th June, 1876. However, there is a charming story recounted in the Richmond Australian 2 July 1887. “On the 3rd [sic – even though the newspaper is dated 2 July!] July Mr Butler, the city treasurer, was walking across one of the main thoroughfares when he was knocked down by a buggy, in which was Dr James and that gentleman’s coachman, who was driving. The vehicle came into collision with Mr Butler and knocking him down and bruising him. Mr Butler wrote to Dr James, informing him if he would subscribe £10.10s to the Richmond Dispensary and nominate him as a llife member, no more would be heard of the matter. Dr James, through Mr Malleson, of the well known firm of Malleson, [? ]gland and Stewart, called on Mr Butler and handed over the cheque. This arrangement is a very commendable one, enhanced by the promptness with which it was carried out.” He held the position of Assistant Secretary of the Richmond Dispensary in Church Street Richmond from at least 1880 to 1893 and he was also an Insurance Agent for some time during this period. The Richmond Australian enters a brief report, 10 December 1892: Mr Butler has been presented with a fitting testimonial of the valuable services rendered over many years. The testimonial sets out the details and bears the corporation seal and the signatures of all the councillors. It goes on to explain that Mr Butler intends to take his holidays in Sydney and probably take up residence there. He was presented with £20 as a mark of appreciation as a mark of esteem by the Victorian Bowling Association. And so a very notable career in public life in Victoria comes to an end. As for personal matters, Frederick Alexander, the eighth child, was born in 1870 in Richmond. There was a move to Hull Street, Richmond in 1872 no doubt a quieter spot than Bridge Road. Today Hull Street is overshadowed by the unfortunate Housing Commission tower dwellings. Another daughter, Charlotte, was born in 1873 but did not survive for long in this unquiet world. Percy Cedric was born 27th September 1874 at Hull Street, Richmond. By this time Alexander Edward, as stated on the child’s birth certificate, is Richmond Town Treasurer. It must have been an awful blow to the family when the ten or eleven year old Charles Spilsbury died in 1876. The family had experienced death of several of their children soon after birth, but to have brought the child to the threshold of adolescence and then to lose him must have been a very sad experience for all – mother, father, older brothers and sisters. In 1880 Alexander moved to Aberdeen Road, Prahan, and his brother Spilsbury appears in the 1883 Directory as living at 29 Aberdeen Road, Prahan. Whether Alexander stayed there or not is uncertain, but in 1890 Spilsbury moved to Bent Street, Malvern. When in 1894 Alexander had moved to Sydney, Spilsbury was at Malvern, and Philip Henry’s name appears in the Directory in 1895 for the first time. One of Alexander Edward’s interests in the world of sport was Lawn Bowls. His earlier bowling career was spent with the Carlton Club of which he was a pioneer member. He had been secretary of the Victorian Bowling Association for thirteen years and he won the championship of the colony on three occasions. He carried his interest to New South Wales when he moved to Sydney in 1893 with his wife Eliza, and at least three of his sons, Edward William, Hubert Phillip and Percy Cedric. His young life had been a life on the move: London, Cheltenham, Bradford, Hobart, Melbourne, Geelong, back to Melbourne where he achieved respectability and some prominence, and established a large family. One wonders why he moved so comparatively late in the day – at the age of sixty-five. His experience in his final months as Treasurer may have had something to do with it. In the Sydney Sands Directory for 1894 Alexander Edward is listed as living at 13 Brisbane Street (it runs off Oxford Street, east of Wentworth Avenue). In 1896 he established himself as Butler and Sons, Estate Agents, 9 Glenmore Road, Paddington, and that was to remain till his death in 1899. He continued actively in Lawn Bowls, becoming secretary of the City Bowling Club, College Street, from 1895 till he died. His death took place 18th December 1899 at 9 Glenmore Road, Paddington, the house which he shared with his son Hubert Phillip, now aged 34, and maybe Percy. His final illness, cancer of liver syncope, lasted just one week. He was laid to rest in the General Cemetery, Waverley, attended by W.Wools Rutledge, a Wesleyan minister. I don’t think the Butlers had much interest in any particular organised religion: non-conformist, Independent, Anglican, Wesleyan – all of these appear on various certificates concerned with Alexander Edward’s church contact. The death of Mr. Alexander Edward Butler which took place in his late residence in No. 9 Glenmore Road Paddington, on Saturday, removes one of the earliest Australian bowlers. The deceased, who at the time of his death was secretary of the City Bowling Club, had only been ailing for a short period, and was on the green just a week prior to his death. Probably no bowler now living had such a career of usefulness in connection with that particular pastime. Born in London in the year 1838*, he arrived in Tasmania 10 years later and at the age of 18 years* removed to Victoria where he spent the greater part of his life. He was in the gold rush in Victoria (Bendigo) in 1851 and was also present at the time of the great Ballarat riots, and was one of the jury empanelled to hear and determine the cases against the rioters. The earlier bowling career of the deceased was spent with the Carlton (Victoria) Club, of which he was one of the pioneer members. During his residence in Victoria he held the office of the secretary of the Victorian Bowling Association, which he filled for thirteen years. His individual success upon the green was also most marked,’ he having won the championship of the colony upon three occasions. He came to New South Wales as a resident about six years ago, and at once became associated with the City Club, and was shortly after elected secretary, an office which he filled during the past five years with great success. Upon receipt of the sad news of his death at the various bowling greens on Saturday afternoon the flags were lowered to half mast out of respect. The deceased leaves a widow and six children (four sons and two daughters). The funeral took place at the Waverley Cemetery on Sunday afternoon and was attended by a large representative gathering of city and suburban bowlers and personal friends. The service at the grave was conducted by the Rev. W.Woolls Rutledge. The chief mourners present were Messrs. E.W.Butler, H.P.Butler, and F.A.Butler (sons). On Sunday last, the half-mast flags on Richmond Town Hall and Richmond Union Bowling Green denoted the demise of a once prominent identity of this city in the person of Mr Alexander Edward Butler. Mr Butler died at Paddington, Sydney, where for some years past, he had resided. He was a very old colonist, and is said to have taken part in the Bendigo gold rush, and was at Balarat at the time of the Eureka Stockade, being one of the jury empanelled to try the rioters. In 1872 Mr Butler, who was then in business in Richmond, was elected a representative for the North Ward in the Borough Council, and in 1784 resigned the position, and shortly afterwards was appointed Treasurer, which position he occupied till December 1892 when he resigned and, with his family went to reside in Sydney. For many years Mr Butler was Assistant Secretary of the Richmond Free Dispensary. He took a great interest in bowling, being one of the earliest members of the Carlton Club, for 13 years secretary of the Vctorian Bowling Association, and for a long time secretary of Richmond Union Club. On three occasions he won the championship of Victoria and his skill as a bowler was recognised by his being nearly always one of the the first selected in Intercolonial matches; and when not desirous of playing, he was generally chosen as umpire. In the New South Wales capital Mr Butler took a foremost position in bowling circles and was secretary of the City Club. There was a large representative attentative [sic] at the funeral on Monday last. His wife, Eliza, outlived him by seventeen years. An account of her family appears in the next chapter. 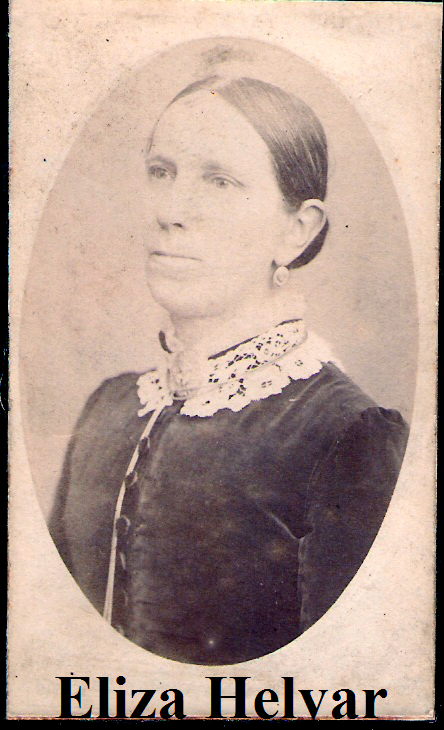 She was born in Yeovil, Somerset, England, 27 October 1830, and came to Australia with her parents Elias Helyar and Martha Doling, arriving in Melbourne, 15 January 1841. Her mother died on the voyage as did one of her little sisters, one of twins, aged about twelve months. The family seems to have settled in Ballarat and eventually in Geelong. She died, 7th September 1917, of cancer of the uterus in the Home of Peace, Marrickville, after a nine year illness. 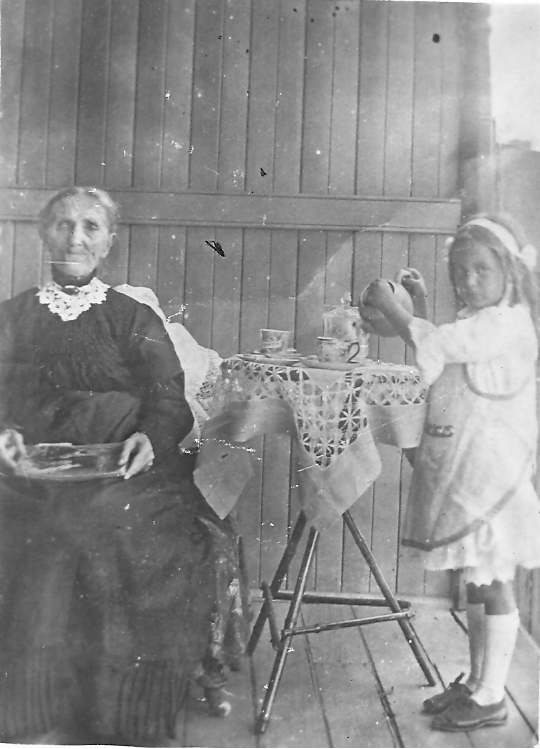 “Grandma Butler” was blind in her latter years, as a photograph from about 1915 shows; she is sitting, while her granddaughter, Lucy, Hubert’s daughter, stands beside her. She had been living at 84 Meeks Road, Marrickville with her son Percy Cedric for about eighteen months. Percy’s daughter, Viwa Frend, recalls that she was paralysed as well as blind. The funeral party left from 86 Womerah Avenue, Darlinghurst, the home of her son, Edward William, at 2.30p.m. Saturday, 8 September. She was buried in the Waverley Cemetery attended by J. Macaulay, a Presbyterian minister. I know little of those children who survived into adulthood: Eliza Selina, Annie Mortimer, Edward William Alfred, Hubert Philip, Frederick Alexander, and Percy Cedric. Percy Cedric is more familiar to me – I may have even met him. According to his daughter, Viwa Frend, Percy Cedric was “the youngest of that family of ten children. Your grandfather”, Viwa wrote in 1972, “(my uncle Ted whom I remember as a child and liked immensely – he was such a happy man, always laughing and jolly) was ten years my father’s senior. Uncle Hubert I just remember. I was only a young child when we had Grandma Butler with us for eighteen months. She was blind and paralysed and her children, Hubert and Ted, used to come to our home to visit her”. Percy had a distinguished career at the City Bowling Club: he succeeded his father as secretary from 1900 to 1903, and held the same office from 1916 to 1919; he was Club Champion in the 1901-1902 and 1910-1911 seasons as well as State Pairs Champion in 1902-1903. In the 1950s he was manager of the Shipping Department at Farmer’s store in George Street. While my mother remembers him well, my memories are only of the way people talked about him: with respect and at a distance. He had at least three children: Viwa, who married a “delightful” Irishman from Tipperary – she it was who responded to my letter to her brother, Percy, in my quest for family information in 1971; Percy – “not a good correspondent”, said Viwa – had a practice as a veterinary surgeon in Strathfield; and a sister, Nellie. I spoke to Viwa’s son in May 1985 but he knew nothing of family origins. Edward William Alfred Butler, the fifth child of Alexander Edward and Eliza Butler, will be dealt with in a chapter of his own, after some consideration of his wife, Eliza Helyar’s family and of the parentage of his second wife Lily McLean, our grandmother. We will look at her paternal ancestors, the McLeans, and her maternal ancestors, William Dedicoat and Mary Kirwin. My great grandfather, Wilfred Travers, played bowls with Alex Butler at the Richmond Union Bowling Club in the 1870’s. He presented a watch to Mr Butler, as reported in The Argus. I believe Mr Butler attended my g grandfather’s funeral in July, 1893 in Sydney as the name A Butler is on the death certificate. (c.1850-68?) Butler, Alexander Edward Melbourne/Jan Juc?